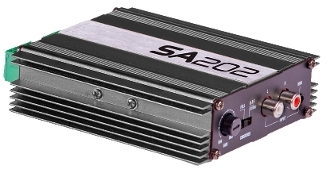 2-channel x 10 watt amplifier. RCA, mini-plug and high level inputs. Includes volume control, full range or high pass filter, remote DC trigger, pole mount adapter.